Chinese Startup Focusses on Agritech » UAV DACH e.V. Back in 2009 Justin Gong and a group of friends he calls “The Geeks” designed their first drone. For the 21-year-old Chinese business student, the prototype was a means to an end. As a freelance cameraman and passionate nature lover, he could use the technology to capture unique shots of animal migration. A decade later, the 13 geeks have multiplied and today Gong is the vice president and co-founder of XAG, a Chinese drone maker employing 1,400 people, which aims to bring technology to the world’s farmers. “China has been a pioneer in areas like e-wallet and consumer tech, but in terms of agricultural technology, there is little development over the past decades,” said Gong. XAG, which has raised $100 million from outside investors since 2014, is about to embark on a new round of fundraising. Gong is making it his mission to tell the world about the potential for technology in one of the world’s oldest industries. With rural populations declining, and those left behind aging, the scope for technology to help maintain and improve productivity is immense, he argues. Even better, says the nature lover, the use of drones will help to reduce pollution of the countryside by cutting the use of pesticides. “Even though farmers we met were once doubtful about how drones could do the job for them, once they tried it, they became enthusiastic and would never go back,” he says. Guangzhou-based XAG was not always an agritech company. Founded in 2007, it began life as a consumer drone company, producing drones mainly for leisure and small-scale commercial use. But in 2012 Gong was hired to help XAircraft, as the company was then known, sell its products in the Australian market and beyond. 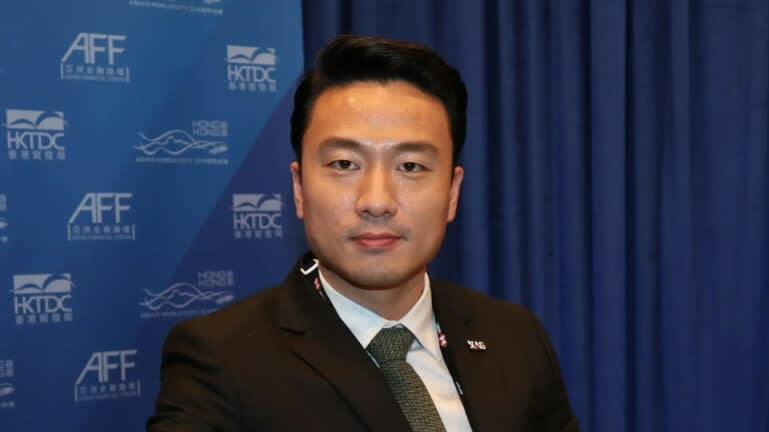 A graduate of the University of Sydney, and the son of a Chinese air force pilot, Gong was already a fan of drones, using the technology in the film production company he had set up on graduation to sell his services as a cameraman and journalist to Australian and Chinese media. Once at XAircraft, he set about marketing the compact flying machines to consumers, commercial TV networks, real estate companies and even the military. In an interview in 2012 he said the company was beginning to work with China’s People’s Liberation Army. But when he and XAircraft’s founder Peng Bin visited a cotton farm in the remote western Chinese region of Xinjiang, they saw how exhausting and inefficient traditional farming methods were. At the time the company was competing against China’s consumer drone giant DJI. Inspired by their Xinjiang tour, the two decided to reinvent the company by stopping consumer drone production and moving into the development of unmanned aerial systems for agriculture. In 2013, the company began developing crop-dusting drones. Today XAG’s products account for more than half of China’s agricultural drone sales, with over 27,000 units now in operation. The drones are sold mainly to local enterprises that offer pesticide-spraying services to individual farmers, with some 1.2 million farmers serviced in China so far. Drones are still only used on 5% of farmland in China, said Gong. “This gives us huge room for growth in the coming years,” he said. Sales of agricultural and forestry drones in China are likely to hit 20 billion yuan ($2.9 billion) by 2025, according to consultancy iiMedia Research, which does not specify the current value of the market. However the total market for all drones for civil use was 800 million yuan back in 2015. Renamed XAG in 2018, the drone manufacturer is now considered a leader in China’s burgeoning agritech industry, a field that is drawing interest from Chinese tech investors such as Alibaba Group Holding, as well as strong support from the government. Last June, Alibaba announced the ET Agricultural Brain project, which allows farmers to digitally record information about their yields in order to better monitor the entire production cycle. JD Digits, a unit of e-commerce heavyweight JD.com, also announced its foray into the agricultural industry last November with a package of digital tools to help ranchers raise healthier animals at lower costs. XAG was there first, however. Its latest P-series crop protection drones can spray about 35 acres of land in one hour, a task that would take days for farmers to do by hand. Because the drones travel automatically on preset routes, farmers need only minimal training to be able to operate them. Moreover, there is no paperwork to fill out as all routes are pre-approved by the Civil Aviation Administration of China. According to Gong, XAG’s drone sales tripled in 2018 compared to a year earlier, and it logged a 50 million yuan net profit for the first three quarters of the year. Beijing’s support for agritech comes as the country’s ability to feed its population faces big challenges. Since the reform and opening up of its economy, the percentage of China’s workforce employed on farms has fallen drastically, from 55% in 1991 to 16% in 2018. Young people have flocked to big cities in search of better jobs, resulting in a rural population that is both aged and impoverished. In 2017, the annual disposable income of a rural resident was only 13,400 yuan — about one-third that of an urban resident, according to the National Bureau of Statistics of China. The widening wealth gap has fueled fears of social instability. Agricultural equipment is one of the priorities in Beijing’s “Made in China 2025” strategic plan. The world’s biggest agricultural country aims to produce 90% of its own farming equipment by 2020, and it wants automation technologies that are on par with advanced international standards. Boosting agricultural productivity could lessen the country’s reliance on food imports even as pollution eats into the amount of arable land. Agricultural drones promise help on both fronts. Not only can they make farming less labor-intensive, they can also slash the use of pesticides by applying them more precisely. According to Gong, XAG’s crop-dusting drones helped Chinese farmers reduce pesticide use by 6,000 tons last year, and this number is expected to grow exponentially as more farmers embrace agricultural drones. XAG’s consumer drone rival, DJI, has also taken note of the potential market for crop-dusting drones and launched its first agricultural model, the MG-1, in 2016. Last year, it unveiled the massive T16 agricultural drone with a price tag of 31,888 yuan — nearly 40% cheaper than its first model. In the face of such competition, XAG is looking to expand both its geographic footprint and its product lineup. XAG is also branching out into artificial intelligence and big data to help boost yields in rural China — and its own profits. It has launched an experimental agricultural AI engine on WeChat that is able to identify images of crops and pests and provide relevant information with a more than 80% accuracy. The eventual goal is to be able to provide farmers with pesticide recommendations. Finally, XAG is also using drones to create digital maps showing the size and terrain of farmland. The company aims to use these map to program routes that unmanned machines, such as tractors, can follow automatically. To fund these ambitious projects, XAG has just commenced its series C funding round. Its series A and B rounds in 2014 and 2016 raised more than $100 million from venture capital companies including Shanghai-based Chengwei Capital, as well as a number of undisclosed investors from China, the U.S. and Taiwan. The company has been profitable since 2017 and Gong said XAG’s “capital flow is adequate”, but they are looking for strategic investors with experience in the agricultural industry to help it grow. XAG did not disclose its fundraising target or the founders’ stakes in the company. At the same time, Gong — born in a village in Hangzhou — is determined to use technology to improve farmers’ lives. In 2016 he co-founded the XAG Agriculture Academy, which provides free or low-cost courses for farmers, both online and offline. More than 110,000 people have enrolled in its courses so far. “Agriculture is the most talent-deprived industry in China, and the only way to change that is by education,” Gong said. UAV DACH: Beitrag im Original auf https://www.uasvision.com/2019/03/18/chinese-startup-focusses-on-agritech/, mit freundlicher Genehmigung von UAS Vision automatisch importiert. Der Beitrag gibt nicht unbedingt die Meinung oder Position des UAV DACH e.V. wieder. Das Original ist in englischer Sprache.